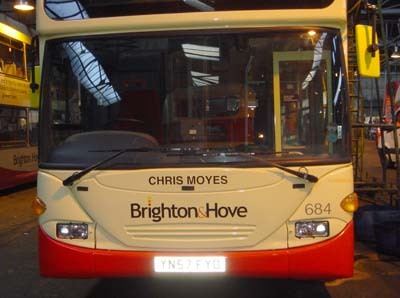 Connections with Brighton and Hove : Chris Moyes was destined to spend his career in transport having established an early interest as a young boy watching trolleybuses and steam trains pass by his north London home. His education in Merseyside included a Masters degree in Transport Engineering at Salford University as well as spells as a season conductor with the Crosville bus company before joining the National Bus Company in 1971 as management trainee with Maidstone & District. 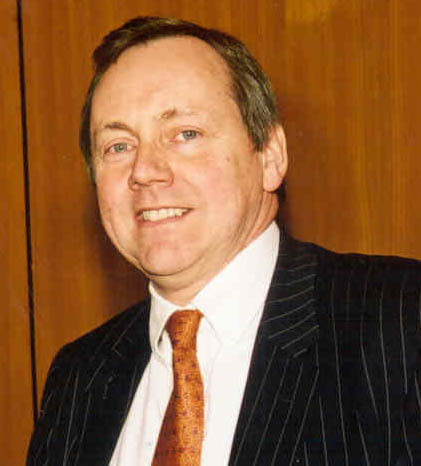 Following management appointments at bus companies in Yorkshire and Lincolnshire he arrived in the north-east where in 1986 he was part of the management buy-out team of Northern General and successfully developed the company into the Go-Ahead Group plc with transport interests throughout the UK in bus, trains, aviation and parking. 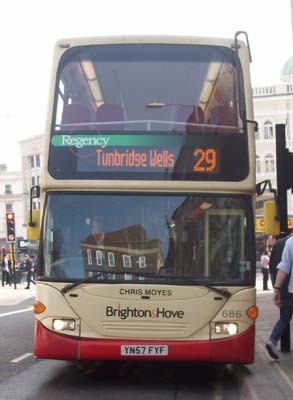 Chris Moyes, with colleague Martin Ballinger, was instrumental in Brighton & Hove Bus and Coach Company's success and excellent reputation following Go-Ahead's purchase of the Company in 1993. 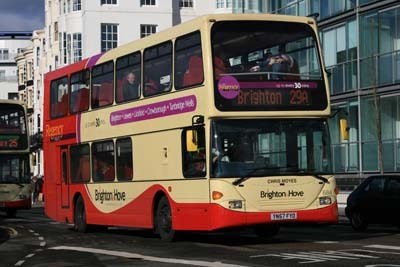 For 13 years he pursued a policy of encouraging the Company to flourish under its local control and much loved identity rather than issuing corporate dictates which bedeviled other parts of the bus industry during that time. 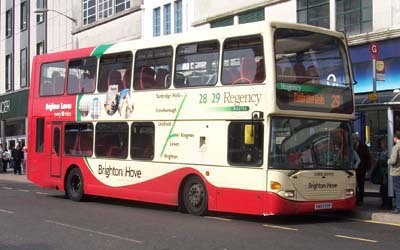 He was Chairman of Brighton & Hove from 2004 to 2006 and a Director from 1993 to 2006. Highly respected throughout the transport industry he sadly died in 2006 aged just 57. 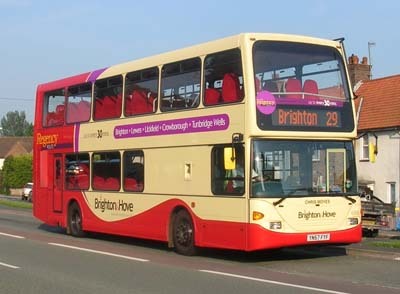 684 Scania Omnidekka - carried name since delivery in October 2007 in Regency livery. 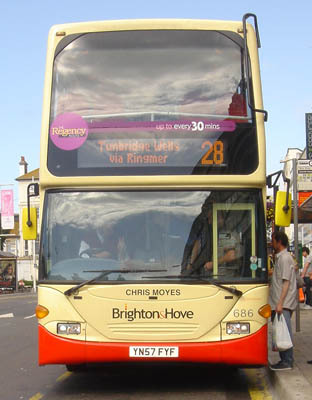 Name moved to 686 in June 2008. Regency branding changed March 2011.